Small business expert and business author, Becky A. Davis, has experienced the trials and tribulations of fighting to get clients and make profits to stay in business. Is it lack of knowledge? Is it lack of resources? Is it, not knowing what to do or where to go to get help? Or is there a different way to ensure a successful business launch? 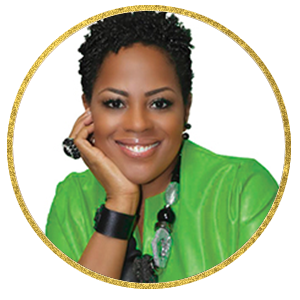 ​With over 20 + years of coaching experience, her experience as a speaker and most importantly, real-life, in-the-trenches business experience, her view is radically different. Becky appreciates, and shares with audiences and clients, that passion, planning and preparation that drives profits. ​Becky, who is referred to as the “Chief BOSSpreneur” for her ability to help women build a legacy by converting their intention into action to become successful entrepreneurs, she has been called the “Entrepreneur’s Secret Weapon” for her straight-forward coaching skills that develops women into well-rounded business owners. Becky, is known for her practical, street-savvy style; Becky’s fusion of real-life stories and her conversational techniques connect with her audience and clients at an intimate, intense and individual level. Becky is a Certified Executive Coach of The Leadership Circle’s 360 Profile. She is also certified by Gallup for the Entrepreneur Talent Profile Assessment and a Facilitator of the Discover Your Entrepreneur Talent Workshop, and continues to work with the best and brightest aspiring and veteran entrepreneurs around the world. Prior to her success as an entrepreneur, In her last corporate position, Becky was Regional Vice President, responsible for Operations and Sales at Sears Optical, a division of Luxottica Retail the largest optical company in the world. She has 20+ years in retail management where she advised Regional Vice Presidents, Training & Development, Human Resources and coached employees at all levels. If you are looking for her and can’t find her, check the nearest shoe store, especially if they’re having a sale.